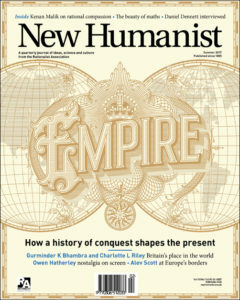 ‘New Eastern Europe’ warns of the de-Europeanization of the Balkans; ‘Mittelweg 36’ prefers transformation over far-Right fossilization; ‘Soundings’ embraces populism; ‘New Humanist’ critiques imaginative humanitarianism; ‘Host’ asks what happened to the Czech literary mainstream; ‘Czas Kultury’ reports on Polish Roma behind walls; ‘Res Publica Nowa’ seeks higher truths; and ‘Glänta’ suffers climate angst. 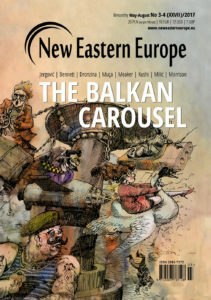 New Eastern Europe takes a ride on the ‘The Balkan Carousel’. It is not a happy experience. Miljenko Jergović describes the increasingly intolerant tone of politics in Croatia, the EU’s newest member, where ‘the process of … de-Europeanization is shocking, all-embracing and radical.’ He explains that ‘anti-fascism, in recent years, has become a dirty word. When someone is described as an anti-fascist, for instance, it usually comes with the suggestion that they are also an enemy of Croatia.’ His survey of the current political situation across the former Yugoslav space concludes with a bleak warning: ‘The nations of the Western Balkans are readying themselves for a war similar to the ones that began in 1914 and 1941.’ He urges Europe to re-engage. Radicalization: Tatyana Dronzina and Sulejman Muça highlight the growing problem of Islamist radicalization in the region. Bosnia and Herzegovina is a particular cause for concern. ‘Despite the fact that only four per cent of [Bosnian Muslims] adhere to radical views, it increasingly seems that the country is becoming a sanctuary for ISIS fighters, planners and recruiters,’ they warn. Reports proliferate of ‘Sharia villages’, where ‘most families live in polygamy under Islamic law, and symbols of ISIS are freely displayed in public places in breach of the established constitutional order’. Their remote locations, and Bosnia’s mosaic of administrative structures hinder police control of such places. Meanwhile, Kosovo and Macedonia have also acted as sources for ISIS recruitment. Ukraine: Some consolation arrives from an unlikely source: Kramatorsk, a monotown near the front line of the conflict in eastern Ukraine. There, Paulina Siegień has been talking to Alexander Tanchuk, a former policeman who now ministers to the Orthodox faithful and the families of fallen soldiers. Tanchuk, a native Russian-speaker, explains his decision to join the Kyiv Patriarchate rather than its Moscow counterpart, hinting at the complex relationship between them, and the influence of Russian propaganda: ‘We are presented as fascist, schismatic and Russia-haters.’ Despite these tensions, the ever-present war and the local bureaucracy, he succeeds in launching the construction of a new church – and in maintaining a sense of hope. In 2016, a year after her famous ‘We can do this’, Angela Merkel assured voters that ‘Germany will remain Germany’. This may have made sense politically, given the far-Right backlash to the refugee crisis. 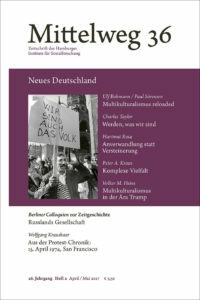 But it was sociologically naive, write the editors of an issue of Mittelweg 36 on multiculturalism. Political measures, as far as they go, have been based on the diffuse notion of a ‘lead culture’. Yet the failure of assimilation policy in connection with the Gastarbeiter is all too well documented. What is needed now is a sociology with ‘vision’ and ‘perspective’. Multiculturalism in the US: The problem in the USA is not that multiculturalism has failed, argues Volker M. Heins, but that its success in detaching privilege from skin colour and gender has created ‘a hyper-pluralistic society of minorities, in which it has once more become possible to mobilize the fiction of a native majority’. Phoney morality: Alev Scott hears echoes of history along the ‘misleadingly tranquil coastline’ between Turkey and Greece. She compares the journeys of today’s Middle Eastern refugees with those of Christians and Muslims ‘exchanged’ between Greece and Turkey in 1923, and talks to Turks in the coastal town of Ayvalık who continue to speak a dialect of Greek. Meanwhile, resentment on the Greek island of Lesbos at the effects of the crisis on tourism is tempered by the knowledge that Greek families there were once refugees too. But politics is working against these subtle understandings. While the ‘infamous population exchange of 1923 was at least partly conducted in a constructive spirit,’ the current deal to stop migrants is characterized by what many people see as ‘phoney morality’. Scott’s surprising conclusion is that ‘the forced exchanges of the past – contrived and crazy though we now consider them – were in many ways more humane, and logical, than the deportations of today’. Absent mainstream: Reporting on the ‘mainstream’ in contemporary Czech literature, Eva Klíčová explains the situation after November 1989, when ‘literature was finally ‘liberated’ from politics, society, all kinds of duties … and finally even from the reader.’ She states her ‘long-time conviction that in literature we need a central, i.e. mainstream or second floor (between the ground floor of trash and the elitist experiments at the peak of the literary hierarchy’s imaginary pyramid).’ She discusses the subject with several theorists, including Pavel Kořínek of the Institute for Czech Literature, who states that a ‘quality mainstream’ is also missing in Czech comics. Literary biography: František Ryčl reviews Reiner Stach’s biography Kafka: The Early Years. He praises the volume for its ‘appealing, reader-friendly form’ (as well as Vratislav Slezák’s ‘readable, fluent translation’) but disagrees with Stach’s ‘harsh and censorious approach to Max Brod’, Kafka’s friend and later editor. 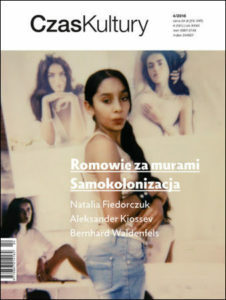 In an issue of Czas Kultury on ‘Roma behind walls’, Emilie Kledzik and Katarzyna Czarnota look at the emergence of urban Roma camps on the outskirts of Polish cities. Their inhabitants came mainly from Romania in the late 1980s and early 1990s and today still live divided off from the rest of the population. ‘These walls will not fall anytime soon, but images from beyond them remain in memory’, as the editors put it. 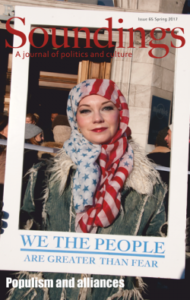 The images contained in this issue are indeed memorable. Kledzik and Czarnota reveal not only of the exclusion but also the violence that this marginalized group face daily. However the richness and originality of artistic works by Polish Roma are also striking. 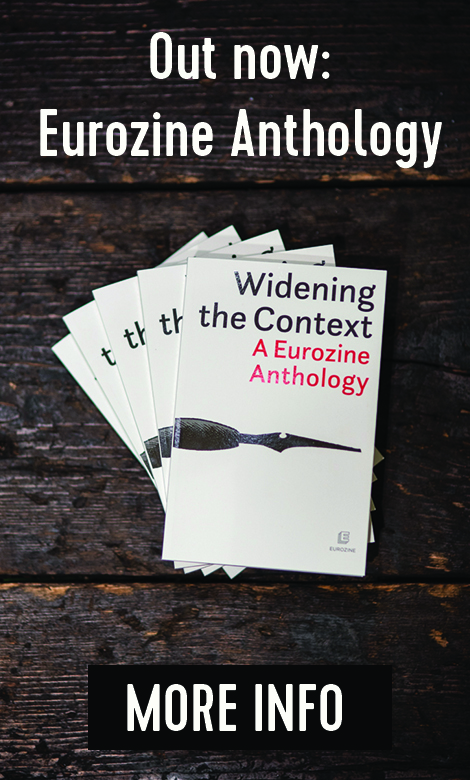 The editors have chosen to include interviews with artists whose work ‘contributes to the rapprochement between the majority population and the Roma minority’. Adding other perspective, Karolina Wróbel looks at the co-existence of Roma and Jews in the Warsaw Ghetto, and Malgorzata Dambek reports on teachers working with Roma children in Slovenia. Also: Bulgarian philosopher Alexander Kiossev introduces a section on ‘self-colonization’ in Polish history, politics and literature. 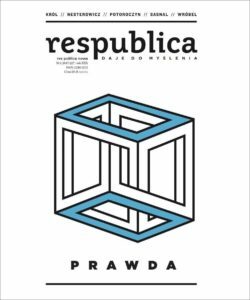 Res Publica Nowa asks how we arrived at a world where feelings influence public opinion more than facts and truth surrenders to lies. The conclusion: post-truth is not a new phenomenon but more a case of the emperor’s new clothes. The task is to muster up the courage to state that the exponents of post-truth are naked. Higher truths: Contributing to post-truth are, among other things, the collapse of the educational system and decline of traditional media. 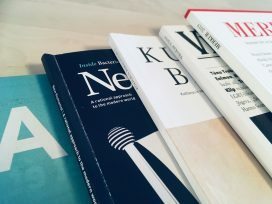 In interview with Agnieszka Rosner, writer Paweł Potoroczyn – head of the Adam Mickiewicz Institute before being dismissed by the current government – asserts that truth needs the support of a strong community capable of negotiation but also conscious of absolute truth. ‘We are all aware of its existence,’ says Potoroczyn, ‘because we know perfectly well when we lie’. Post-truth: Krzysztof Pacewicz presents a short history of truth in modernity, from the fall of great narratives and the end of the idea of modernization to individualism and post-modernism. Liberals, he argues, have forgotten that truth binds a community together, which is something that GDP cannot do. Dollars replaced values expressed in words, thereby allowing the truth of money to replace conceptual truth. Post-truth is a logical consequence of the deficit of truth in late modernity. 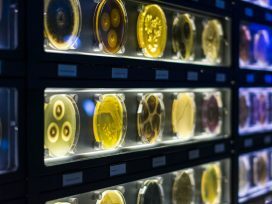 Positivism: The ‘cult of fact’ in politics – reports, statistics, chronologies – underestimates the significance of values, writes Patrycja Sasnal. Looking at international relations, she argues that responsibility depends not only knowledge but also on belief. 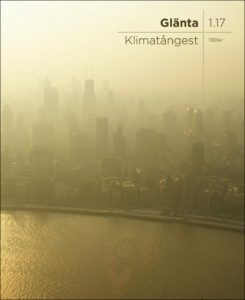 As if we weren’t scared enough already, Glänta’s new issue on ‘Climate Angst’ appears just as Donald Trump announces that the US is pulling out of the Paris climate accord. Also: Paintings by Anna-Lisa Unkuri, poems by Sara Granér and Naima Chahboun, and poetry-statistics by Jonas Gren: ‘The majority of crying minors / are consoled by glaciers’.